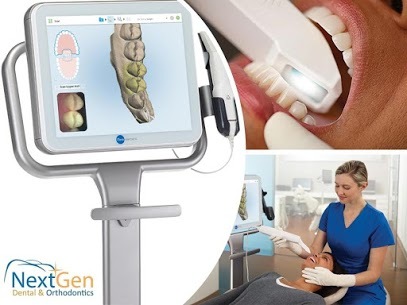 FREE Orthodontic Consultation for Braces or Invisalign (Includes digital 3D scan with iTero Element scanner and Smile Simulation). See your smile transformation before you commit to your treatment! NextGen Dental and Orthodontics is a full service dental practice offering family and cosmetic dentistry, braces and Invisalign. Call to schedule your consultation today: 847-947-2651. Why Choose NextGen & Dr. Robert Weber? Clear Trays: Maintain your beautiful smile with clear trays that are virtually undetectable to other people. Removable Aligners: Enjoy your favorite foods during treatment without worrying about braces getting in the way. Removing the trays makes it easy to eat and maintain excellent oral hygiene each day. Unbelievable Comfort: One of the biggest complaints about traditional braces is the discomfort of the metal wires and brackets. Eliminate this problem by choosing smooth, comfortable treatments with Invisalign. The Invisalign process is one of the leading options for orthodontic treatments. Gain the benefits of a straight, beautiful smile without the problems of wire braces. Clear aligners are created using 3D technology. The computer uses images of your teeth to design a customized series of Invisalign trays. The treatment offers an affordable way to straighten your smile and life-long benefits that boost confidence in all stages of life. Each aligner set is custom-designed to fit your mouth. The sets are worn for 2 weeks, with the option to remove the trays for a short time each day while eating, drinking, flossing, and brushing. The teeth are gently moved with each step in the series of aligners. Follow the recommended order of use with the sets based on custom recommendations from your orthodontist. Three aligner sets are provided at each appointment, so you only need to visit the office every six weeks to ensure optimal progress. Most patients are done with treatment in an average of 11 months. Each situation varies depending on the needs of the patient, but it is common to use between 18 and 30 sets of aligners during the course of treatment. No need to gag on the outdated putty that has been used in the past to create molds of the teeth. We offer an iTero Element Scanner which creates a digital impression. This process is more comfortable compared to the putty that was used for many years in the orthodontic industry. 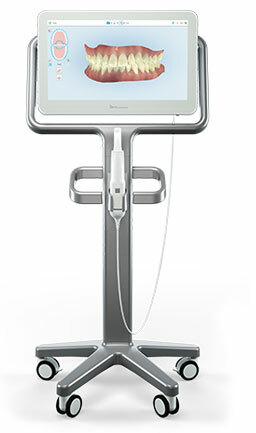 Plus, the digital treatments provide more accuracy, helping you achieve optimal results. The precision of this technology gives you a custom treatment plan that will create the smile of your dreams. The outcome of the treatments can be simulated through the computer system, helping you see your new smile before beginning treatments. Is Invisalign right for you? Feel free to contact our experienced team for an evaluation and personal recommendations to improve your smile. NextGen Dental & Orthodontics is committed to providing the best dental services for patients in Wheeling, IL and the surrounding area. Call us at (847)947-2651 for a consultation in dentistry, implants, teeth whitening, Invisalign, oral medicine, and more at our Wheeling, IL office.